Edward Glickman | Econsult Solutions, Inc.
Edward A. Glickman is Senior Advisor of Econsult Solutions, Inc. He is an expert in real estate finance and operations and brings over twenty years of leadership experience as a public company C-level executive, with strategic, operational, financial, and capital markets expertise. He is a Clinical Professor of Finance and Executive Director of the New York University (NYU) Stern Center for Real Estate Finance Research and teaches Principles of Real Estate Finance and Real Estate Primary Markets in the M.B.A. program. 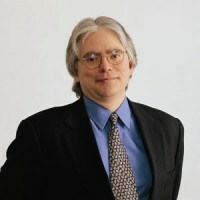 Prior to joining Stern, he also developed the core course in Corporate Finance for the University’s Master of Science in Real Estate program. From 1993 to 2012, Mr. Glickman was formerly the President and a Trustee of the Pennsylvania Real Estate Investment Trust (PREIT) and its predecessors. From 1993 to 2004, he was Executive Vice President and Chief Financial Officer of PREIT where he conceived and led the transformation of a private development company into a publicly-traded REIT. In 2004, he became the President, Chief Operating Officer and Trustee and represented the company with the investment community as well as industry trade groups including NAREIT, PREA, ICSC and the Real Estate Roundtable, where he served as chair of the Homeland Security Committee. Before joining PREIT he served as Executive Vice President and Chief Financial Officer of Presidential Realty Corporation (1989-1993), a publicly-held hybrid REIT (traded on the American Stock Exchange). There, he successfully engineered the financial and operational restructuring of the company following a steep decline of the NYC residential real estate market, by reorganizing the finance, accounting, and operations departments. Prior to that, Mr. Glickman was an investment banker in New York where he headed the New Products group at Smith Barney, and was Vice President of Investment Banking at Lehman Brothers. Mr. Glickman is a Fellow of the Royal Institution of Chartered Surveyors, a Certified Treasury Professional and a Registered Securities Principal. He serves as a director of the Temple University Health System, the Fox Chase Cancer Center (American Oncological Hospital), and as chairman of the advisory board of Kimmel Cancer Center of Jefferson University where he was a Senior Health Policy Fellow. He is a frequent TV guest and speaker at trade associations, corporate meetings, and universities (Wharton, Columbia, MIT). Mr. Glickman received his Master in Business Administration from Harvard Business School, and his Bachelors of Applied Science in Bioengineering and Bachelors of Science in Economics from the Management and Technology program at the University of Pennsylvania.